Housed in what once was the world's first purpose-built mental hospital, this is one of the world's oldest and largest collections of pathological specimens and now the core of one of Vienna's medical museums. In addition to the regular public exhibition, guided tours can extend to the even grosser specimens not normally on public display. More background info: "Narrenturm" in (Austrian/older) German translates as 'fools' tower', or more accurately: 'lunatics' tower', and in fact this striking, five-storey high fortress-like round building firstly resembles a tower, and secondly was purpose-built as a home for "lunatics" or "the insane", as it was customary to say back then. It was part of the modernization endeavours of the enlightened emperor Joseph II (see also Josephinum and funeral museum). 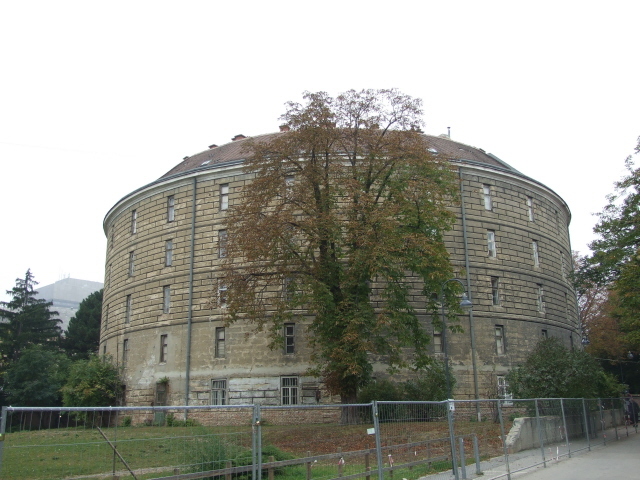 The Narrenturm was indeed the word's very first building especially designed, in 1783, for "keeping" such mentally ill "patients" locked up in a central facility. It was finished in 1784 and the first patients were admitted soon after. Treatment in those days was minimal to non-existent, so the 250 or so inmates in the 28 cells branching off each of the circular corridors on each of the five floors were indeed more or less simply "incarcerated" here. It really was little more than a "loony bin", then, with the emphasis on "bin". Still, it was argued that this was better than letting the patients roam around freely with the risk that they might harm someone or be subjected to ridicule or even physical mistreatment by other people. So they were locked away inside this tower, two patients in each of the cells, which contained nothing but the beds and bare walls. Little wonder then that the building didn't fulfil this role for very long. It ceased to function as a psychiatric ward altogether in 1866. 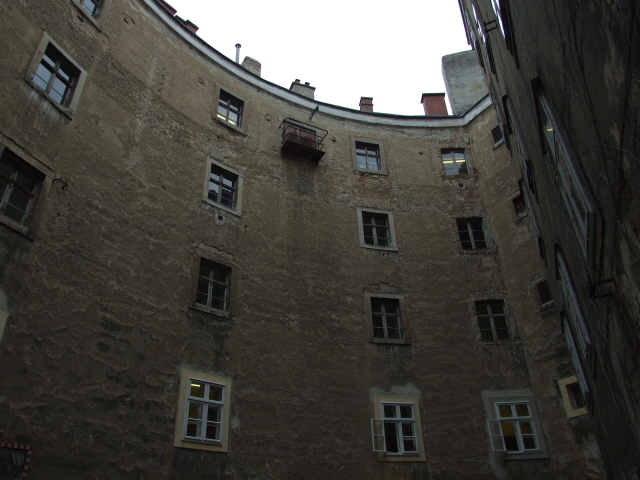 Afterwards, the cells were used as lodging space for nurses. Only much later, namely in the early 1970s, was Vienna's pathological-anatomical museum (founded in 1796) relocated to the Narrenturm. Since 1993, the museum has been the sole occupant of the building. Its five floors are chock-full with what ranks as one of the world's largest collections of medical specimens and preparations. In total 70,000 items make up the collection. Since January 2012 the collection has been administered as a branch of the Natural History Museum of Vienna. But only a relatively small part of the collection in the museum's possession is regularly on display to the general public. Most of the specimens are part of the "study collection" (Studiensammlung), which is for medical professionals and medical training only. However, some parts are occasionally shown to lay visitors too on guided tours. Some people don't take kindly to the more extreme examples of shocking deformities and such things, so some of these specimens can only be seen by special arrangement. These restrictions are also in force to prevent the Narrenturm from becoming some kind of overtly voyeuristic attraction (this applies in particular to a room with various conjoined twins in large formaldehyde-filled jars – a kind of floating twin children's cemetery). But there are also quite physical restrictions: some of the rooms on the upper floors are too crammed full with endless shelves of valuable specimens that there simply isn't the space for visitors to go filing through. What there is to see: The ground floor exhibition can be visited on an individual basis without guiding. It contains all manner of artefacts of medical history interest, from old documents, furniture, and medical equipment to skulls, deformed skeletons and specimens preserved in formaldehyde. It's the latter in particular that will be of special interest to the decidedly dark tourist. They even have a "devil", believe it or not … In actual fact, it's a preserved stillborn baby that back then (1827) was taken to look like the devil. You need quite a bit of imagination to see it that way (it doesn't have horns, hooves or a forked tail), but it's certainly "shocking" to behold. Rather than having been cursed, possessed or any other such superstitious stuff, the poor thing was simply an anencephalic – i.e. a baby deformed in such a way that most of the forebrain, upper skull and scalp are missing (an extreme form of a neural tube defect hence termed anencephaly, literally 'no brain') so that the head ends in big bulging eyes at the top of the front of the head while the flat rear of the head is open, exposing the remnants of brain tissue. The disorder is attributed to a lack of folic acid, but may also be the result of high exposure to mercury, lead or other toxic heavy metals. To me, this little "monster" looked sad rather than shocking, but it is without doubt one of the most outstanding exhibits. Other interesting examples include a Cyclops baby head and a skeleton of a child that had suffered from hydrocephalus resulting in an enormously enlarged skull (found towards the end of the circuit through the exhibition). There are lots of other interesting exhibits, too numerous to be described in more detail here, but unfortunately the texts explaining the medical stories behind the exhibits are in German only (and medical terms are given in Latin, of course), only the odd small sign with a few lines in (rather shaky) English can be spotted here and there; and there are some laminated sheets in English as well, but it is all rather half-hearted and uncoordinated. This state of affairs could have changed long ago, however. When I was there several years ago I found a native speaker of English at the reception desk, and I learned that she had worked on a proper translation of the exhibition texts as well as the museum's book ("Faszination und Ekel" – 'fascination and repulsion') – but she had not been able to successfully negotiate an adequate payment for the effort (… probably the familiar old story of a translator's job rarely being valued properly – shame!). In addition to the ground-floor exhibition, guided tours are also available to parts of the study collection housed upstairs on the first floor. When I was there a few years ago these tours would also have been available in English, but that no longer appears to be the case either. This was followed by various bone diseases, tumours, birth defects (including a full-size Cyclops baby specimen floating in formaldehyde) and countless models of skin diseases (mostly of the 'moulage' technique, i.e. taken directly from the sufferer's body and then painted more or less realistically). The latter are often particularly horrific (and itch-inducing). The "star exhibit" in this section is a taxidermy specimen – a "stuffed" child, the whole body! The pitiable patient had suffered from a severe form of congenital ichthyosis, a skin condition affecting the entire body's surface skin (scabby, flaky, cracking dry skin all over – it must have been hellish). Only the face was cleared and given a "decent", benign expression when the body was mounted for display – the rest looks like it's been "charred". It's very touching and gruesome at the same time. Also quite moving is the skeleton of a woman who had suffered from extreme rickets, resulting in such twisted bones and a bent, shortened back that she was only about 20 inches "tall". At the other extreme end, there are the leg bones of a man who had been seven foot something tall – a giant. His shinbone is longer than the rickets woman's entire body. In theory, parts of the remaining three floors of the building can also be accessed on specially arranged tours, but normally remain out of public view (apparently they are deemed too shocking). Location: in courtyard 13 (where else!) 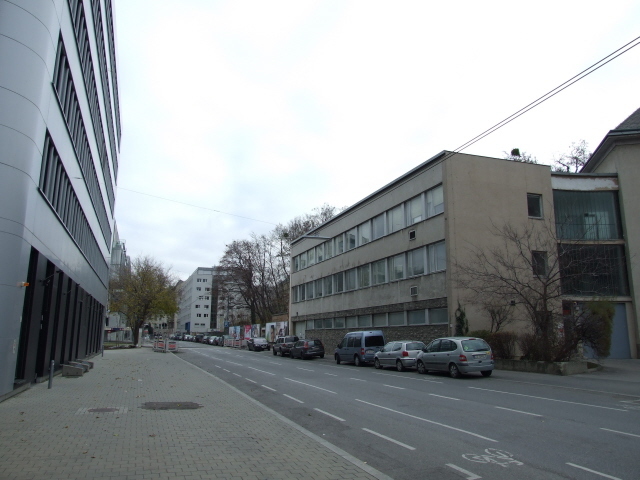 within the former hospital complex "Altes AKH" ('old general hospital'), which is now home to various institutes of Vienna University, in the 9th district (Alsergrund) of Vienna. Access and costs: slightly hidden, restricted opening times, but fairly priced for regular admission and basic tours. 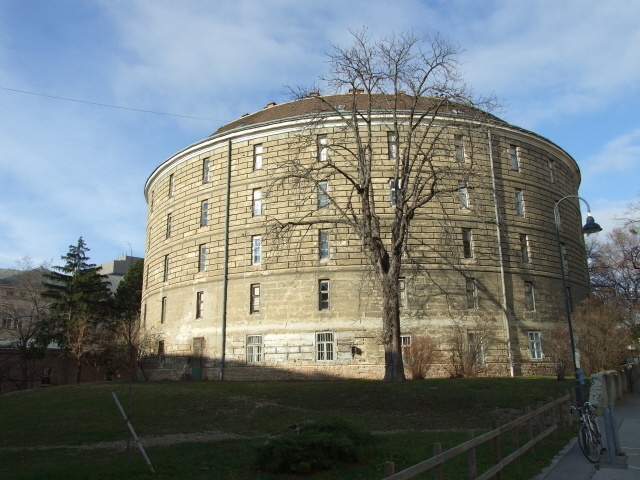 Details: the Narrenturm is part of the university campus in Vienna's former general hospital "Altes AKH". Tram lines 5 and 33 get you closest to the Narrenturm: get off at the Sensengasse stop, and walk down dreary Sensengasse, which branches off diagonally from Spitalgasse, until you rather suddenly come to a gate in the wall to the right, opposite a gleaming new building. Take the hairpin twisting ramp up the hillside, and once through the archway at the top you can already see the round stone edifice that is the Narrenturm. From the Schottentor hub station on the Ring around Vienna's Inner City various tram lines go up Alser Straße (43, 44) or Währinger Straße (37, 38, 40, 41, 42). It's only two stops to Lange Gasse or Spitalgasse, respectively. From the former walk through the campus courtyards along Spitalgasse until you get to No. 13 with the Narrenturm. 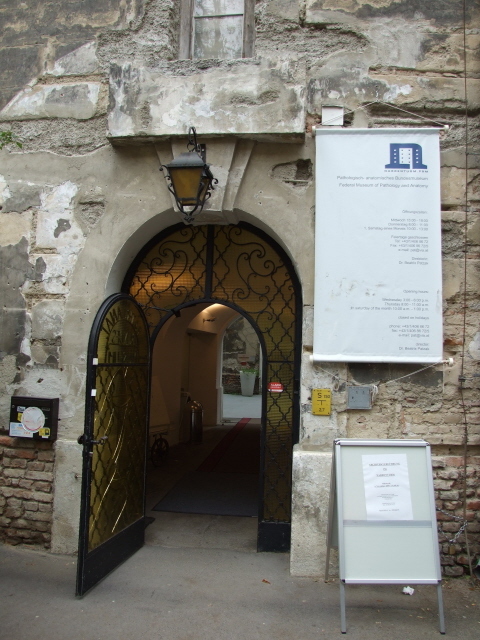 From the latter, walk up Spitalgasse or back down Währinger Straße until you get to Sensengasse and use the side entrance to the campus there. The museum entrance is marked clearly enough. If you only want to see the regular exhibition on your own, you can simply proceed straight to the turnstile at the entrance branching off to the left a few yards further inside the building. Get your ticket from a machine by the turnstile (50c and 1 and 2 EUR coins accepted) to gain entry. Admission: 2 EUR for the ground-floor section that can be visited independently. In addition there are various guided tours on offer (at varying prices), which may also include the upstairs study collections. There do no longer seem to be regular tours, only ones that you have to sign up for in advance (and they seem to run only very occasionally). These also appear to be available in German only (going by the nhm-wien.ac.at/en website). Opening times: Wednesdays 10 a.m. to 6 p.m. and Thursdays and Saturdays from 10 a.m. to 1 p.m. (these are the regular times – visits outside these hours are possible by prior arrangement. Time required: How long you spend at the parts of the exhibition that you can visit independently, without a guide, will depend not only on your interest in medical detail but also, crucially, on whether you can read German (at least for the time being – see above). If you can't, you'll probably be out again in half an hour, if that. Guided tours (in German) can last between 30 and 90 minutes, depending on what they cover (there are different themes). Combinations with other dark destinations: Both thematically and by location in Vienna's 9th district, the perfect combination is the pathological museum in the Narrenturm is a visit to the Josephinum medical museum with its fantastic wax models. If you require a guided tour in English you have to go on Saturdays. However, it might get a bit tight time-wise as these tours are at 11 a.m. so you'd only have under an hour for the Narrenturm. Just a bit to the south of the Narrenturm, within the university campus, there's a relatively recent monument of dark historical interest: it's the remains of a former Jewish prayer room building for the former hospital. 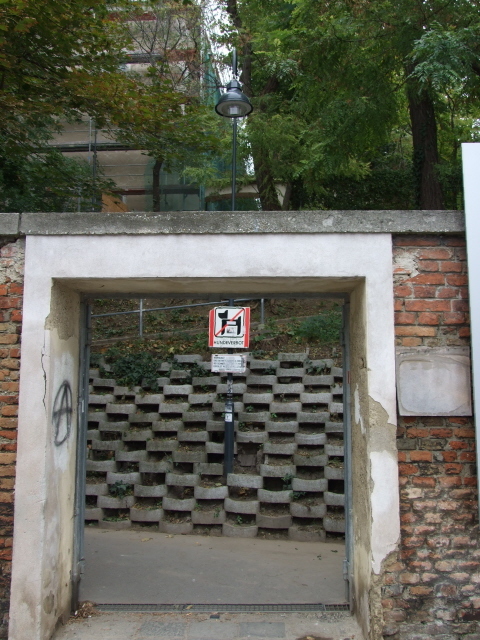 It was desecrated in the Nazis' anti-Jewish pogroms of 1938 and after WWII simply used to house electric transformers. After the complex had been handed over to the university there had been a debate about a more adequate memorial at this spot. This finally opened in 2005. 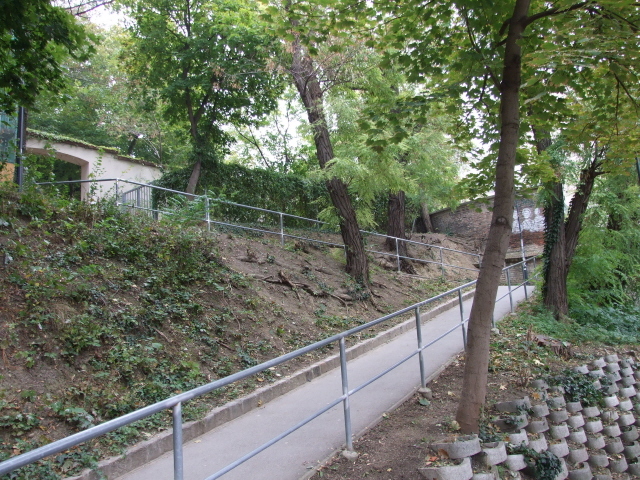 Further afield – see under Vienna. Combinations with non-dark destinations: The Uni campus at the "Altes AKH" is quite pretty in itself – certainly as far as university buildings go (! ), and in the run-up to Christmas the main courtyard is home to one of Vienna's better Christmas markets. Other than that, there isn't really much of touristic interest in this part of the city – but see under Vienna for a few general suggestions.